installations seem to stay frozen in time. 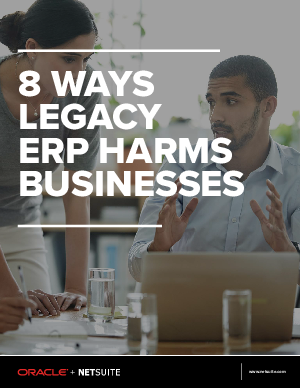 It’s hard to believe that an outdated, five-year-old ERP system can be relevant to a business in a hyperactive world. Technology has transformed the broader world of business software and consumer applications. Workers now interact through mobile devices and social media, and applications are increasingly connected together over the Web. But many ERP deployments have remained oblivious to these tectonic changes—it’s as if the iPhone was never invented, social media was a futuristic concept and connecting ERP to web channels was a kooky concept for the dabbling few.